The elements of art are building blocks of art. Shape and from are two of the seven elements of art. The other elements are color, value, texture, line, and space. Every work of art can be talked about by how the elements are used in it. Teaching your kids the elements of art not only gives them a framework for how to create their own artwork but it gives them a vocabulary for talking about the artwork of others. The elements are a great jumping off point for all kinds of art discussions. Check out this post for all kinds of free elements of art printable resources. I think I may have used the terms form and shape interchangeably until I was in the throes of college as an art major. They seem the same. They’re not. Shapes are flat. They can be any enclosed, two dimensional area, whether organic or geometric. 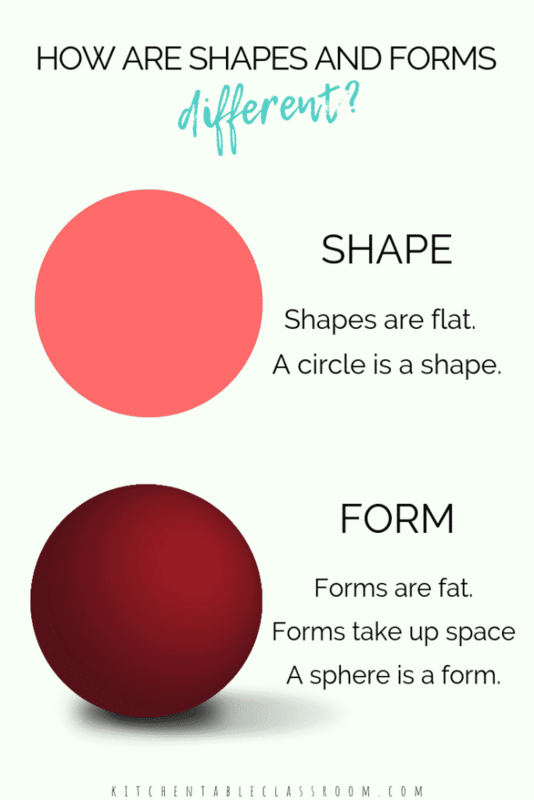 Forms are fat. They are three dimensional and take up space. Or…..forms can have the illusion of taking up space. 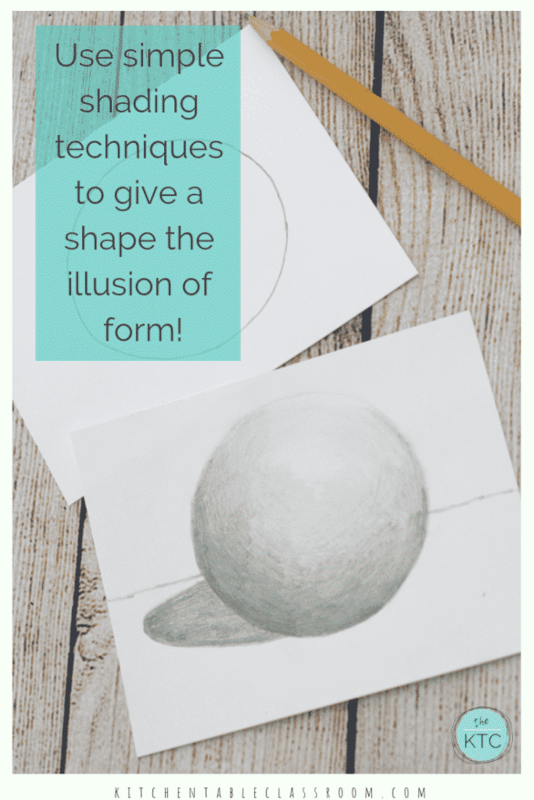 You’ll see ways that artists create the illusion of from on a two dimensional paper and your kids will learn to do the same! Through a series of simple exercises your kiddos will learn drawing techniques that they can apply to their own artwork every single day! Learning these pencil skills is easy with this hands on video format. 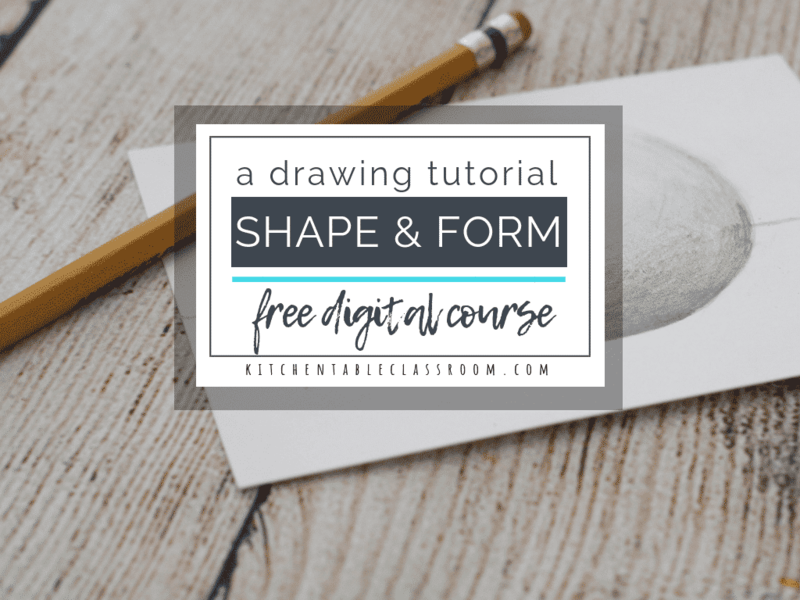 Learn more about this free digital course…..
Let me do the teaching! You don’t need any fancy equipment to complete this lesson. 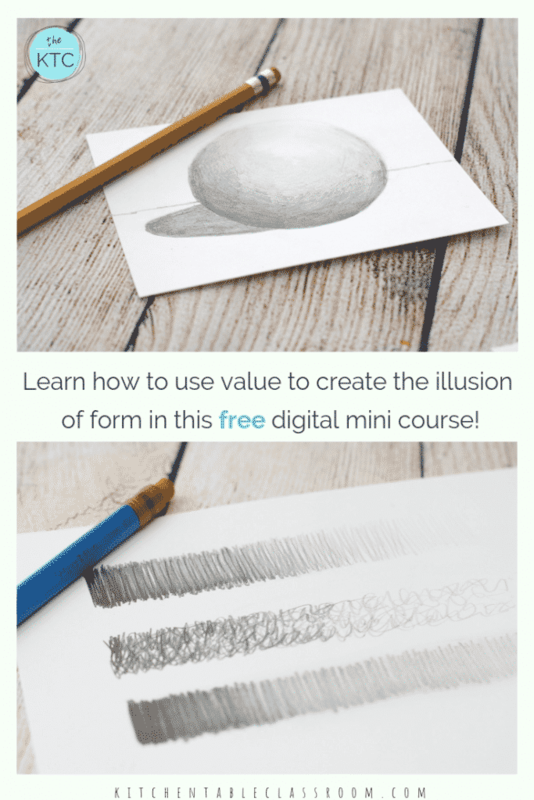 All you need to complete this free digital mini course is pencil, paper, and about 20-30 minutes. I’ll walk your student through every step of this art lesson and they will walk away with a skill they can apply to their artwork over and over! 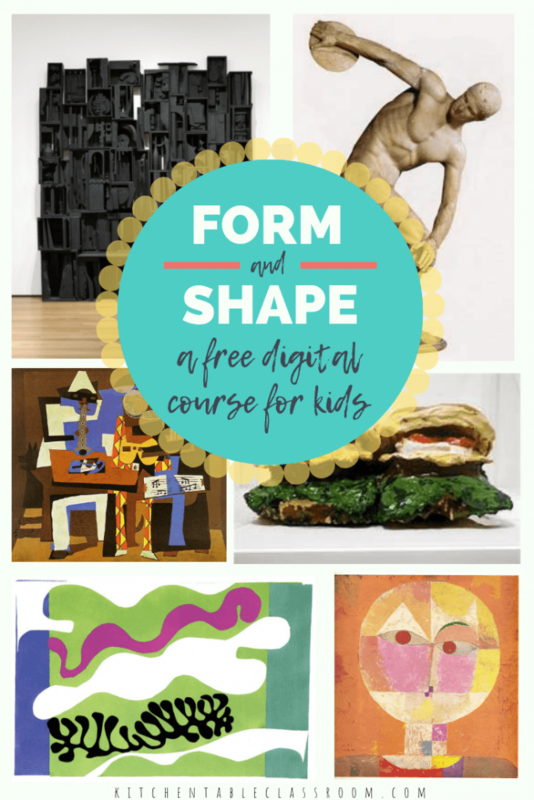 In this mini course I’ll chat with your kids about examples of shape and from as seen in great works of art. In video format it’s easy for me to bring examples right to your kids and chat with them about what they see. No searching for resources is necessary. And…no worrying about if what they are searching for is kid friendly! The button below will take you to Teachable where I’ll walk your kiddos through this video lesson step by step- for free. You will not be asked to enter credit card information of any kind, just an email address! Your child can get some hands on instruction and practice with a drawing skill that can be tricky to teach through the written word!